Home Reviews Backpack Reviews North Face Recon Backpack Review: Is It Right For Your Commute? Commuting is hard enough. Lugging your stuff around during your travels shouldn’t be. That is precisely why finding the right backpack is essential to making your commute much more manageable. Trust me when I say pockets are the key to happiness, especially when you’re on the run. I used to stuff half of my worldly possessions into a cheap backpack with one big pocket and one little pocket. It did the job, but a lot was lacking -- all of which leads me to my North Face Recon backpack review. Many say it’s every commuters dream backpack, which is precisely why I want to dig into the details. What makes this pack that good? Is it worth the hype? There are a few features you are going to need in the perfect backpack. You need to consider your commute, for one thing. Will you be on a bike? If so, you’re going to need to remember that a big backpack is going to get in the way. You need an ergonomic design that gives you room to pedal. But if you need to carry around a lot of stuff at one time, you will need something on the larger side. Will you likely get stuck in the rain? Waterproof backpacks exist and might be worth considering if you're expecting to get wet. Biking, in general, may not be your best transportation plan if you have a bunch of stuff to haul around. Finding a backpack with the perfect amount of space is crucial. This pack is pretty much perfect when it comes to striking the right size balance. It has ample pockets for binders or folders. There is also a padded a laptop sleeve, a cushioned tablet pocket, and lots of tiny pockets for organized storage. This in-depth North Face Recon backpack review focuses on the best aspects of its design. For one thing, it comes in quite the color variety. There are individual styles for men, women, and children. The major difference between the styles comes down to the color availability. The youth version comes in its own size as well. The fact that North Face styled the colors to a variety of tastes makes them perfect for nearly anyone. Beyond the color choices, when you are considering a North Face Recon backpack review, it needs to dig into the special features. First off, this is a 30-liter backpack with a large main compartment. That will provide you with plenty of space for large binders or folders. The padded 15-inch laptop sleeve will protect your device from bumps and bruises. The front pocket has a smaller capacity but plenty of little pockets to make organization a breeze. On the outside, you will find 360-degree reflectivity for safety, an external padded sunglasses pocket, and a front stash stretch pocket for a helmet. The padded flex-vent back panel and adjustable straps will add comfort and breathability. A cushioned handle will make it easy to carry. There are even two water bottle pockets on the side which are perfect for a long commute. The multiple color options are definitely a major part of the charm. There are separate styles for men, women, and children, and all have unique color schemes. Let's take a look. As I mentioned before, this North Face Recon backpack review would be nothing if it didn’t include a rundown of the Youth Recon Squash backpack. It is the same basic backpack in a smaller size. The Youth Recon backpack is 17 liters. It is perfect for school or any sleepover because it has a large main compartment and a small front pocket. There are also some tiny organization pockets in the front, which will make it easy to pack everything they need for school. However, you should keep in mind that this is a simplified version of the adult North Face Recon backpack. It includes the exterior mesh pockets for a helmet and water bottles. Reflective safety strips are placed appropriately. But it does not have the breathable back padding, sunglasses pocket, or any padded sleeves for electronics. All of these aspects tend to be less crucial for children, but it is essential to mention the differences. No North Face Recon backpack review would be complete without a rundown of the costs and ratings. Adult and youth North Face backpacks have a significant price difference. The youth style is about half the size and half the price. So depending on which model you intend on purchasing, you can expect to pay about $ to $$ on the North Face website. The North Face Recon backpack has excellent ratings for all three different models. All of their product ratings range from 4.6 to 4.8 out of 5.0 stars. If you think about it, it’s pretty impressive to get steady and remarkable reviews across the board from hundreds of customers across an entire product line. The North Face Recon backpack review is meant to cover all its best features, as well as the most sought-after competitors. We want to give you a fair representation of this product. None of these products are in any particular order. The North Face Recon backpack review and ratings reflect a variety of genuine customer reviews. It’s important for us to give you an honest representation of this item, including the best and worst aspects. We need to consider how well this backpack holds up against other brands to get the best sense of value possible. There are tons of fantastic packs on the market that are perfect for commuting. But, chances are that if you are reading this North Face Recon backpack review, you want to know more about how this pack, specifically, stacks up to the competition. So we are going to cover all the special features across a variety of three other brands as well. That should give you plenty of robust comparisons and a little perspective on what features are most important to you. 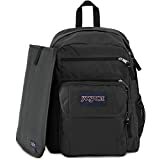 If you have ever been on the lookout for a sizeable 38-liter backpack, the Jansport Digital Student laptop backpack might be for you. It comes in a variety of 19 color options. There are also 2 large main compartments, a 15-inch removable padded laptop sleeve, fully padded back pocket, and a comfort grip handle. There is even an external padded pocket for a 10-inch tablet and external power cord storage for easy access. Conveniently placed on the outside of the pack, there is also one mesh water bottle pocket and plenty of small pockets for organization. Customers give this an impressive average of 4.6 out of 5.0 stars. It also has a fantastic price between $ and $. The price fluctuation largely depends on whether they’re currently having a sale. Customers typically loved the amount of space offered. However, it has also been considered too large of a backpack, and may not be right for everyone. Customers didn’t seem to think it was as durable as the North Face Recon backpack. The review overall was positive, but durability was a question on many customer's minds. The Osprey Momentum 26 is a simple but comfortable design. It is only available in black and green, which cuts down on your style options a bit. It is a 26-liter pack that is perfect for lighter loads. The ergonomic design is ideal for a bike commute. It has comfortable shoulder straps, a ventilated back panel, and a mesh water bottle pocket. There is a separate padded main compartment with easy access to your laptop. The large main compartment has a document sleeve and mesh pockets for organization. The front panel pocket also features small mesh organizers for small items. The Osprey Momentum 26 is ideal for bike commuting because it includes additional features specifically for this use. There is a lid lock helmet attachment, blinker light attachment, a built-in high visibility rain cover, and reflective details. Last but not least, it has two stretch mesh side pockets. Customers were a massive fan of this design for bike commutes and gave it 4.7 out of 5.0 stars. The main downside is the fact that it comes in at about $$ to $$. It's a bit on the expensive side, but many customers didn’t mind the price because they loved the additional features. That made it seem like the optimal choice for a comparison for the North Face Recon backpack in this review. Essentially, if the bonus features offered by this backpack are up your alley, it might be the better pick. 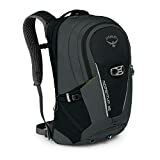 If you’re looking for a comparison for a backpack in a similar size, the Timbuk2 The Authority Laptop Backpack is a great candidate. It is 28 liters, and it comes in 7 color options. There is a 17-inch padded laptop compartment with rear access to leave more space for internal compartment storage. A cushy handle and straps make it extremely comfortable, and the air mesh back panel offers breathability. The smaller front pocket has an abundance of mini pockets for ideal internal organization. Not to mention it is one of the most stylish backpacks of the bunch. 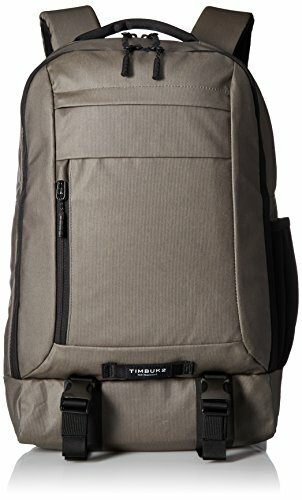 The Timbuk2 The Authority Laptop Backpack also has a bit of a higher price tag than others on this list, ranging from about $$ to $$. Customers didn’t seem to mind, giving it a rating of 4.5 out of 5.0 stars. A North Face Recon backpack review would never be complete without a good pro and con list. If you’re going to figure out whether this backpack is the perfect one for you, you need to know the best and the worst details. Commuting or traveling shouldn’t be a hassle. There are enough things to consider without worrying that you don’t have enough space in your pack. The small organizational pockets make it a breeze to find all your essentials within reach when you're on the go. When considering a North Face Recon backpack review, getting the rundown from customers is essential. It’s important to know how real people feel about this pack. You don’t want to base your decision on just marketing. Finding all the right features without paying more than you should can be harder than many people might think. It’s best to break down the individual features to see whether this will fit your needs. That includes finding out the scoop from others. If you have any experience with the Recon backpack, feel free to drop a comment below. We would love to hear about your experience or any of your favorite commuting backpacks!